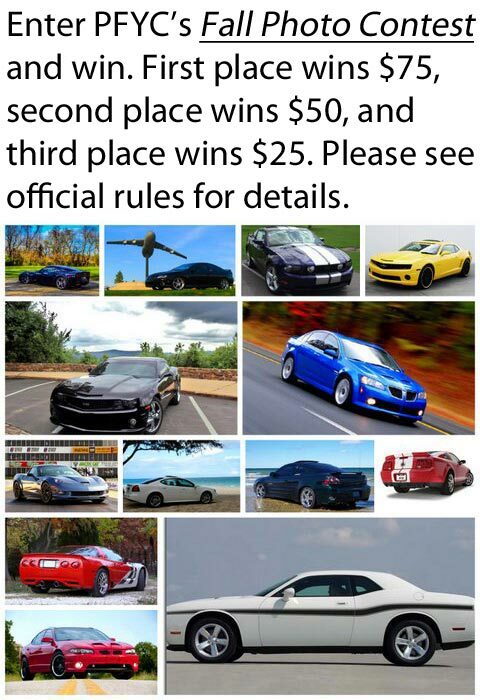 Participate in our photo contest at PFYC - PartsForYourCar! Think you can take the best photo of your car? It's time for another photo contest with prizes given out to the top 3 photos with the most votes. The theme of this contest is either the end of winter or beginning of spring, depending on where you live. Get your car all shiny and clean, pick a sweet background, grab your good camera, and snap. See if you have what it takes to come out on top. As soon as it stops snowing here and i get my new 18's on and car waxed i will be taking photos. Snow pics might make a unique entry too. Consider it? Not with $1000 wheels tires. Salt and aluminum dont mix. I did put the wheels on yesterday but now its snowing again but i dont think the salt trucks are out but the ground is wet with the old salt so now the GA will be sitting till ground drys. Just put new 18s on and ceramic coated Pacesetter cat back on. GAs looking sick this spring and summer. My avatar is a Sneak peak . Last edited by StormTec2.0; 03-27-2013 at 04:38 PM.